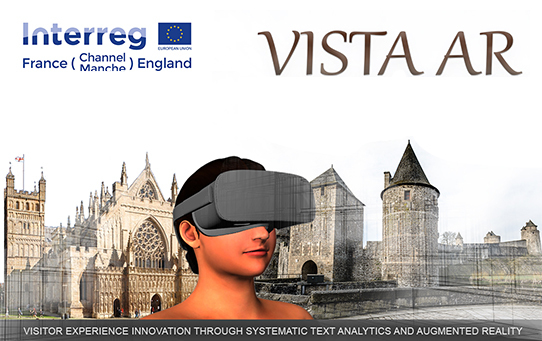 Visitor experience Innovation through Systematic Text Analytics and Augmented Reality. The project is focused on generating new and repeat visitors to cultural heritage sites and to make an impact on regional economies. The tools developed by the project will be made available to other UK and French cultural heritage sites on a cloud-based system where they can be easily accessed and adapted to the needs of each specific heritage location. The project is a major step in providing cultural heritage sites with an effective way to enhance visitor experiences while increasing visitor numbers and revenue.